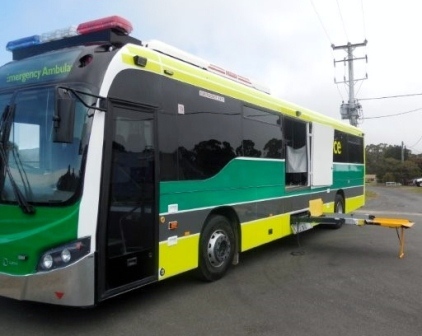 The bus can transport six(6) stretcher patients plus up to six(6) sitting passengers (if required) and will be primarily used for low acuity patient transfers to and from regional areas into the Adelaide health facilities. It does also have the capacity and fitout to respond to emergency cases and even be used as field base treatment centre. This exciting and unique project was completed by Mader following comprehensive consultation with SA Ambulance Service staff and managers. 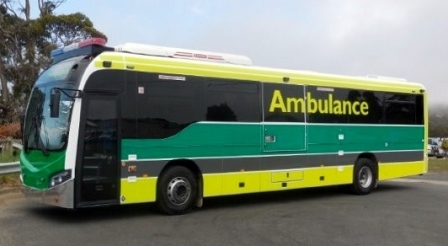 The bus is an IVECO Delta chassis with a Custom Bus SB50 coach body fitted and converted to SAAS Ambulance specification by Mader. 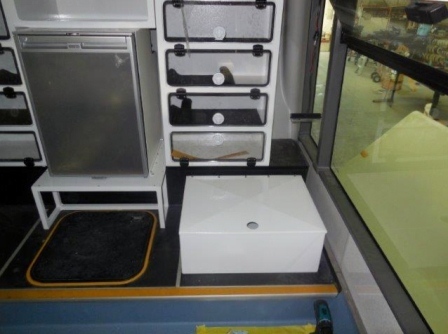 Mader provided innovative engineering solutions to the ambulance fitout to enhance loading/unloading in accordance with SAAS’s comprehensive manual handling systems and like all Mader fitouts particular emphasis was placed on staff and patient safety and comfort. Mader international would like to thank all involved with this project and in particular the support and opportunity from South Australian Ambulance Service.